A Ferrocium metal flint, is an effective fire starter for true survival situations, the aluminum handle contains a button compass in the lid. I would use this as a survival fire lighter, being part of my survival kit, it takes a 'sharp' edge to produce the incandescent sparks, but these are an effective fire lighter, if all else fails it may light tinder under conditions that traditional techniques wouldn't, this is a very useful tool. 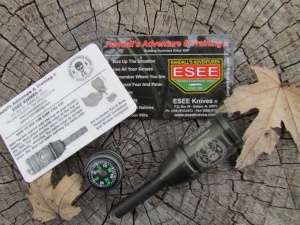 Purchase through PayPal by using the "Add To Cart" button above or use the form below to order the ESEE Fire Kit . 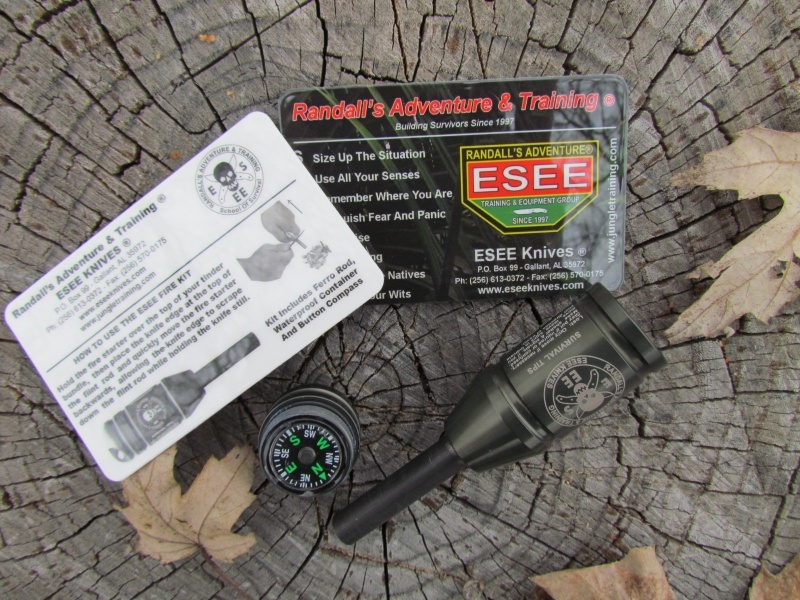 Feel free to contact us if you have any questions about the ESEE Fire Kit .